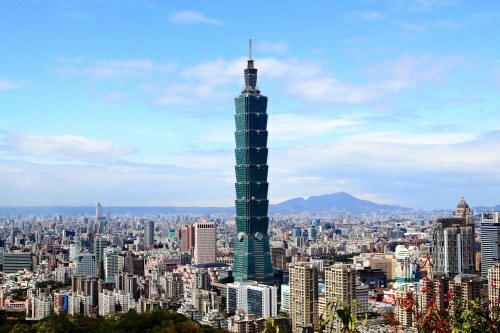 United has dropped the price of their flights from Toronto to Taipei, Taiwan down to just $593 CAD roundtrip including taxes. A lot of the flights have 2 stops each way, although it does look possible to book flights with just 1 stop each way, in San Francisco, on certain dates. Update @ 5:15 PM EST - These seem to have disappeared. The cheapest prices are now in the low $800s CAD roundtrip. They were only available for a few hours. Maybe United didn't mean to drop them quite that low? Using Momondo, you can click through to Fareboom to book these flights for $582 to $594 CAD roundtrip including taxes. Tip: When you get to Fareboom, try clicking on 'Sort by Best Value'. This may show you cheap flights with just 1 stop each way. Using Skyscanner, you can click through to the United Airlines website to book these flights for around $600 to $625 CAD roundtrip including taxes. One Response to "Toronto to Taipei, Taiwan - $593 CAD roundtrip including taxes"
It was worked around 5:45pm Nov 28. The price has raised to $815 and up now.